Skoda will launch 30 new models by 2023, at least 10 of which will be electrified, the Czech brand has announced at its annual conference. Its electrification strategy will kick off this year with the launch of the Superb plug-in hybrid and the electric Citigo city car. Its first model on the MEB electric platform, which was developed by parent firm the Volkswagen Group, will arrive in 2020. The MEB-based electric SUV will be a production version of the Vision iV recently shown at Geneva motor show. Skoda has previously said it would have 10 electrified models by 2025, so this announcement suggests it has accelerated its plans to achieve this goal at least two years earlier. At that time, it was confirmed that six would be plug-in hybrids and four would be electric. 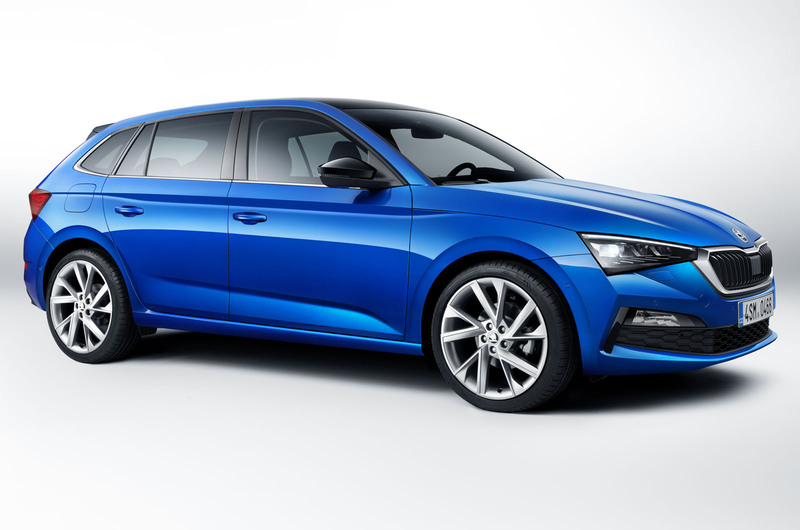 More imminent arrivals in the broader model line-up include the recently revealed Scala hatchback and Kamiq SUV, as well as a heavily updated, not-yet-seen Octavia – Skoda’s biggest selling model - later this year. Skoda’s plans for the next three years were outlined at the event following news of another record year for the brand. The car maker delivered 1,253,700 vehicles last year, an increase of 4.4% over 2017. It has almost doubled sales from a decade ago; in 2009, Skoda sold 684,226 cars from five model lines. Skoda remains the third biggest brand in the VW Group, beaten by VW (6.2m sales) and Audi (1.8m). Sales revenue also increased by 4.4% to £14.8bn but operating profit fell by 14.6% year-on-year to £1.1bn. Skoda’s profit margin in 2018 was 8%, a fall from 2017’s 9.7% but still remarkably better than its sibling Volkswagen, which achieved a 3.7% profit margin last year. China remains, by far, Skoda’s biggest market with 341,000 deliveries last year, followed by Germany with 176,600. Third place went to its home of the Czech Republic trailed by the UK. Skoda delivered 74,500 vehicles here, slightly down on last year. Maier commented that 2018 was “a year of considerable challenge for Skoda”. “We assumed responsibility for several tasks within the Volkswagen Group: the regional management of India and Russia, the development and production of the Passat family at the Kvasiny site, and the expansion of production capacities at a multi-brand plant. Maier predicted that 2019 would also be a challenging year, but added that despite the difficult global economic conditions, Skoda would still gain momentum. Maier also said Skoda plans to make all its Czech production plants CO2-neutral in the second half of next decade. He added that it is endeavouring to make its cars as environmentally friendly as possible and flagged the new Scala as having 85% reusable or recyclable materials. As well as the launch of its first electrified cars this year, described by Maier as “a very special moment in Skoda’s 124-year history”, the firm is also pursuing its plans to expand into new markets and focus on digitalisation. Last year, Skoda launched in Singapore, meaning it’s now present in 103 markets, and the firm said it was “pressing ahead with accessing new markets”. South Africa is expected to be next.Skoda said other key areas for progress included e-mobility, autonomous driving, connectivity and digitalisation, and added it “intends to increase its global vehicle sales by effectively implement these topics”. As part of this intention, Skoda has opened two so-called Digilabs in Prague and Tel Aviv, both of which work with start-ups to develop new solutions for transport in the future. The Digilabs are working on a number of vehicle-on-demand projects such as the private peer-to-peer car sharing app Hoppy Go and the student car-sharing platform Uniqway. The maker is also currently testing a delivery service, by which parcels are delivered directly to the boot of customers’ cars, similar to what Amazon and Volvo already offer in the States. It is also working with cities on smart cities. Last October, it signed a Memorandum of Understanding with Prague, said Maier. "It covers the optimisation of the flow of traffic. In Prague, 30% of time in the car is spent finding a parking space. "We are trying to expand our range of mobility services and of course we are trying to reduce our impact on the environment." Skoda is also ramping up its roll-out in India, where a small SUV will be unveiled next year. Since taking over management of the region for the VW Group in 2018, Skoda has opened a technology centre in Pune, India, which it describes “as the first major step in the implementation of the project”. It will localise 95% of production of the vehicles, which will be both Skoda and Volkswagen models. R&D boss Christian Strube said: “By opening the Technology Centre, we are underlining our determination to make the INDIA 2.0 project a success. 30 more bland VAG-alikes? woo-hoo! Thats Just what I wa about to post... I am now waiting for another article from SEAT stating the same or similar..